Formerly known as Bank of Internet, Axos Bank has set out to offer "Banking Evolved." They believe in providing customers with the technology and choices to help them meet their financial goals. They've been in business since 2000, but they've recently evolved their look and offerings to meet the needs of the average consumer. Keep reading to see if Axos Bank will fit your banking needs. CashBack Checking: With the CashBack Checking account, you won't pay a monthly maintenance fee, but you also won't earn interest. What you can earn is cashback on certain purchases. You'll need a minimum $1,500 average balance in order to earn the cashback, though. You may earn up to $2,000 cashback on signature-based transactions. If your average balance is below $1,500, you'll earn 0.5% cashback on eligible purchases. The cashback is in the form of a deposit in your CashBack Checking account. You'll also be eligible for reimbursement of domestic ATM charges. 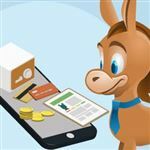 Essential Checking: If you want a simple checking account without monthly fees, the Essential Checking is a good option. You won't earn interest on this account, but you won't pay overdraft fees or NSF fees. You are also eligible for reimbursement of ATM fees on unlimited ATM transactions within the US. First Checking: This checking account is for teens ages 13 - 17 with an adult co-owner. Your teen can receive up to $12 in ATM fee reimbursement per cycle. They also won't pay a monthly maintenance fee. The account has withdrawal limits of $100 in cash and $500 in debit transactions. This account does earn interest. Golden Checking: If you are 55 years old or older, you may open this interest-bearing checking account. You won't have to meet any monthly minimum balance requirements and you won't pay overdraft/NSF fees. You may receive up to $8 in ATM reimbursement for non-Axos Bank ATM transactions per cycle. You may also receive free checks twice a year, in 50-check increments. Rewards Checking: This checking account rewards you with a higher APR for certain transactions. Meant for those who frequently use their ATM/debit card, you can earn a higher APR for setting up direct deposit with your employer (minimum $1,000) or using your debit card at least 10 times a month. If you use your debit card an additional five times per month (15 total), you'll get another bump on your APR. This account doesn't have a monthly maintenance fee. Second Chance Checking: If you need a "do over" with your bank accounts, Axos Bank will give you that "second chance." This account has a $6.95 monthly service fee and a $50 opening deposit requirement. You'll receive a free Visa debit card and be able to sign up for overdraft protection. High Yield Money Market: If you want the higher interest rate of a savings account with check writing privileges, the High Yield Money Market may help. If you write fewer than six checks per month, you can enjoy the higher APR with this account. There are no minimum balance requirements and the account does come with a debit card. The six-transaction limit does apply to debit card transactions too, though. High Yield Savings: This savings account offers a high-yield APR, but doesn't require a minimum balance. With no monthly maintenance fees and the ability to request a free debit card, it's a great place to put money aside for a rainy day. 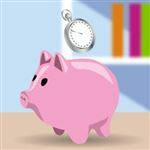 Second Chance Savings: If you need a "second chance" at banking, this savings account may help. You'll need $50 to open the account. You will earn a low interest rate on your money and you can request a free debit card, if you need it. You also won't pay a monthly fee for this account. You can choose from terms ranging from 3 months to 60 months to help you reach your savings goal. Remember, you can't access your funds for the specified time of the CD. If you do, you'll pay an early withdrawal penalty fee. You'll need $1,000 to open an Axos Bank CD and you'll have a 10-day grace period to decide what to do with the funds upon maturity. You can open either a Roth IRA or traditional IRA at Axos Bank. You can choose between the IRA Savings and the IRA CD. 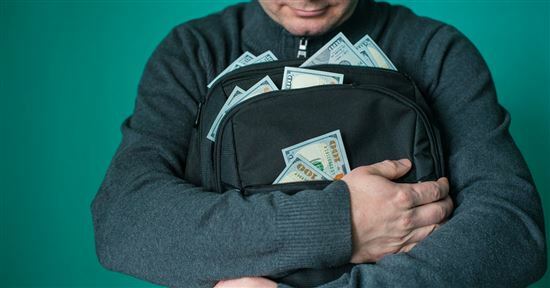 For the IRA savings, you can start with just $250, but you'll need $1,000 to open an IRA CD. Each account is FDIC insured and offers competitive APRs to help you grow your retirement savings. You can also visit their FAQ section to find answers to the most commonly asked questions. You can access your checking or savings account online. Since Axos Bank is an online bank, it makes sense that you'll manage your money online. Their website is user-friendly and not overwhelming at all. You can make sense of your accounts in a matter of minutes, making it easy to keep track of your finances. You can utilize the mobile deposit feature. Since Axos is an online bank, depositing money can be a challenge. With mobile deposit, though, you can simply take a picture of your check and it deposits directly into your account, right from the comfort of your own home. You can manage your finances on-the-go. If you download the Axos Bank app, you can see the same information you'd see on your PC. This makes it easy to check balances before shopping or to balance your checkbook while you sit and wait at the doctor's office or for your child while they are at practice. You can find checking and savings accounts with no monthly service charges. If making sure you reach the minimum required balance each month to avoid the monthly service fee stresses you out, Axos Bank may help. Many of their accounts don't have a monthly service fee, which can alleviate the stress of having a checking or savings account. If you have the CashBack, Essential, or Rewards Checking account, you get free ATM transactions anywhere in the United States. You don't have to worry about finding a specific "brand" ATM. Axos -Bank will reimburse the fees charged by that third-party bank. If you have any other checking accounts, you may have access to a limited number of reimbursable ATM fees. Several of the Axos Bank checking accounts don't charge overdraft fees. We all make mistakes now and again, but when we have to pay money for them, it can really sting. That's why it's nice that a few of the Axos Bank checking accounts don't charge overdraft fees. This doesn't make it okay to go over your account balance, but at least you can get back on your feet without paying excessive fees. Axos Bank takes security seriously. Before you can log into your new bank account, you'll face two-factor authentication. This helps to keep hackers out of your account. They also use bank-level SSL encryption and automatic logout for those times that you get sidetracked and forget to log out of your account. You can apply for a new account in a few minutes online. Since Axos Bank is an online bank, it makes sense that you can only apply online. They also allow you to apply for a few of their bank accounts via their mobile app. All you need is a valid ID and your Social Security number. The process takes approximately 15 minutes. Axos Bank is FDIC insured. You don't have to worry about taking a risk with an online-only bank. The FDIC has your back should Axos Bank suddenly close their doors. Each account at Axos Bank is insured for up to $250,000. Axos Bank will walk you through the process of switching banks. If you currently bank elsewhere, Axos Bank will provide you with the forms and steps to take to successfully switch banks without bouncing checks or missing bill payments. You can't visit a physical branch. Axos Bank is an online bank. You manage your money online and even deposit your money electronically via online transfers, mobile deposits, or ATM withdrawals. If you aren't comfortable not being able to see a bank teller face-to-face, this may not be the right bank for you. Unless you live in San Diego, depositing cash can cost you money. You can only deposit cash via Reload @ the Register, which costs $4.95 per deposit. If you make several cash deposits per month, this can eat away at the no monthly service fee benefit. Axos Bank's APRs are on the lower side for online banks. Typically, you choose an online bank for the higher APR. 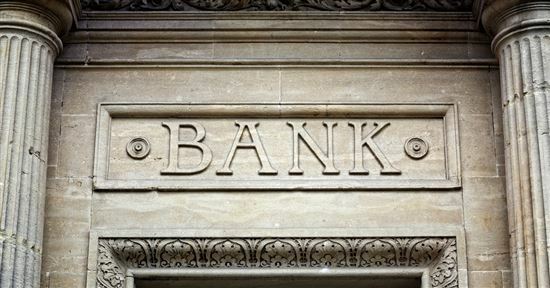 The lack of overhead allows banks to pass along the savings to its customers. Ally: Ally Bank offers an online checking and savings account, along with a variety of CD and IRA options. They don't charge monthly service fees and you don't have to meet minimum monthly requirements. You do have to stick within the Ally ATM network to avoid ATM fees, though. Capital One 360: Capital One 360 offers a couple of online checking account options as well as a multitude of savings account options. Capital One 360 also doesn't charge monthly service fees. They are known for their higher than average APR offerings, but you may want to watch for their "other fees," as they can add up. Axos Bank can be a good option for those comfortable banking strictly online. If you have direct deposit set up with your employer and you mainly use a debit card, it can be a great choice. The lack of fees and multitude of options make Axos Bank a favorable choice for many. Disclaimer: This content was first published on December 2, 2018. Information including rates, fees, terms and benefits may vary, be out of date, or not applicable to you. Information is provided without warranty. Please check the bank's website for updated information. Leave a comment about Axos Bank Review?